The purpose of this present study was to examine gender differences in overall scores on the Eating Attitudes Test (EAT-26) in National Collegiate Athletic Association (NCAA) college athletes in “lean” sports versus “non-lean” sports. Using a self-report survey design, this study examined eating disorder risk in 121 NCAA college athletes, using the EAT-26. We expected that female athletes and athletes in “lean” sports would report higher scores on the EAT-26. There was a significant effect of sport type (lean vs. non-lean) on eating attitudes and behaviors, with those in non-lean sports reporting higher scores, on average, on the attitudinal measure and those in lean sports reporting, on average, higher scores on the behavioral measure. There was an interaction between gender and sport type (lean vs. non-lean) on eating attitudes and behaviors. Male athletes in non-lean sports had the highest overall average scores on the attitudinal portion of the EAT-26, and males in lean sports had the lowest scores. However, on the EAT-26 behavioral portion, men in lean sports reported significantly higher scores than did men in non-lean sports. Female athletes, regardless of sport type, reported similar scores on both the EAT- 26 attitudinal and behavioral sections. 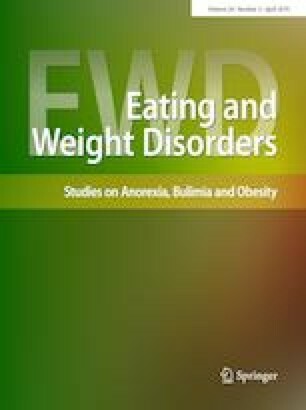 Our findings suggest that athletes, regardless of sport type and gender, may be affected by eating disorder symptomatology. Gender differences may be smaller in athletic populations than previously thought. Sport type may affect whether disordered eating symptomatology presents as attitudinal or behavioral in nature, especially in male athletes. The authors declare that that they have no conflicts of interest.